Gemma Reucroft is a HRD Director in the healthcare industry. Gemma is a Fellow of the CIPD, and a regular speaker and writer on a variety of HR topics including employee engagement and social media. Gemma describes her HR philosophy as being all about doing good people stuff. Gemma is a blogger on all things HR, and has two blogs www.hrgemblog.com and www.careergem-blog.com Gemma is a regular conference blogger, and also writes for the HR Director Magazine, as well as being a member of the HR Director Magazine editorial panel. 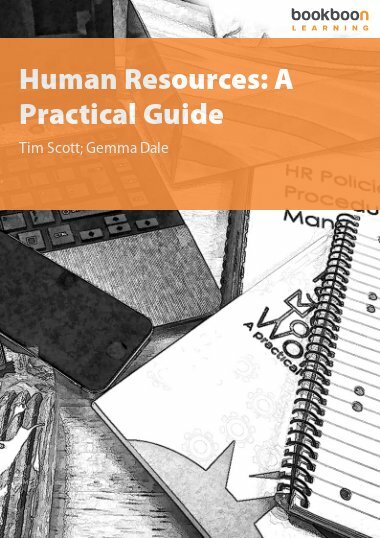 Gemma also contributed to the best-selling HR books, Humane, Resourced and Humane, Resourced 2. Gemma has held a variety of HR roles including leading teams in employee relations, resourcing, service delivery, internal communications and business partnering. Many of her roles have involved transforming HR teams and developing effective HR solutions and policy. Gemma has an MA in Employment Law and Industrial Relations from Keele University and is also a mediator and coach. A big fan of all things social media, you can also find her on twitter as @HR_Gem. Tim is an HR professional and Chartered Fellow of the CIPD with almost twenty years of generalist experience in roles across the private, public and voluntary sectors. A self-confessed social media convert, Tim is active on Twitter (as @TimScottHR), blogs at timscott.net and for a number of other sites and contributed chapters to both volumes of the best-selling “Humane, Resourced” series. Tim is currently Head of People & Organisational Development for Brook, the UK’s leading provider of sexual health services and advice for young people. Prior to joining Brook in August 2013, Tim was HR Manager at the Liverpool City Region Local Enterprise Partnership. Throughout his career he has worked effectively with senior management teams, developed people-focused HR teams and designed and implemented business-appropriate people practices, often in organisations which previously had little or no dedicated HR leadership. He says his career aim is simply “to make things better” wherever he is working.